Many great firefighters are non-believers and it’s neither this article’s intention nor the author’s to state that a non-believer cannot be a great firefighter. It is my belief that faith is a key asset to the fire service and to our firefighters. Consider the acts of service that each firefighter provides daily and the great risks that are taken on another’s behalf. Many firefighters believe that the fire service is a calling and are gifted in their service. The problem lies in that as we serve “we become enamored by our gift and forget about our calling” (Ravi Zacharias). We begin to believe that we are invincible and that our skills are what makes us great. Perhaps, we may have forgotten what drove us to become the best that we can be. What would the fire service be without belief? Does it matter that a firefighter doesn’t place the same value in the service that we provide to our fellow man? Do we believe that a skilled employee will ever outperform a passionate, skilled, and caring firefighter? Can we as firefighters look one another in the eye and truly say, “I trust you and I would lay down my life for you”? Does one embrace such a commitment without belief? Does one commit to such a daunting task without trust? Without faith, the noble calling known as firefighting would be reduced to an occupation. The fire service stands upon a foundation of these principles that is laid upon the bedrock of faith. Would any firefighter feel comfortable knowing that the person next to them in an IDLH environment has neither trust nor belief in the fire service? Many examples of fire house life should cause us all to stop and reflect if we truly do believe in what we are doing. Our examples, or lack thereof, can cause others to lose hope in the very calling that we value. Faith can be further emphasized by a reminder of what we each swore to do. We took an oath as firefighters, an oath as a sign of commitment before others that our belief is strong. A willingness to help all those in need. the ordeal of those who need me. all those placed within my care. As firefighters, we each place confidence in one another and our leaders as we serve in the most dangerous environments. We place faith in our PPE, that it has been tested to endure the extremely volatile environments that we boldly go into. We place faith in our SCBA, that it has been tested and will perform when we enter into places where no man could breathe without it. We place faith in the hands of our drivers as we stretch a hose line towards a fire, that when we open the nozzle that the water we need will be there. Now let us ask ourselves again: Do we have faith? Consider the examples given and look upon our lives from a faith-based perspective. If we as firefighters can place such trust and belief into the hands of another person, our fellow firefighter, and such great faith into the hands of our leaders who faithfully watch over us through the flames of fire, then is it too big of a leap for us to place our trust into the hands of the One who made us? Thus far, we have defined faith and why it is important to us all (believers and non-believers alike). Now we will begin the journey into the application of our faith: putting our belief into practice. On the other hand, the greatest firefighter I ever met was a secular Humanist. Faith is essential to firefighters who believe that it is essential to have faith. Although circular, this statement is more or less accurate. And, of course, having spiritual faith (in whatever iteration) is perfectly fine. Yet, in my observation, I see no direct correlation between the effectiveness & empathy of firefighters and faith, per se. The article suggests that absent “belief”, then firefighters would be less trustworthy and less inclined to make costly sacrifices in the course of duty. 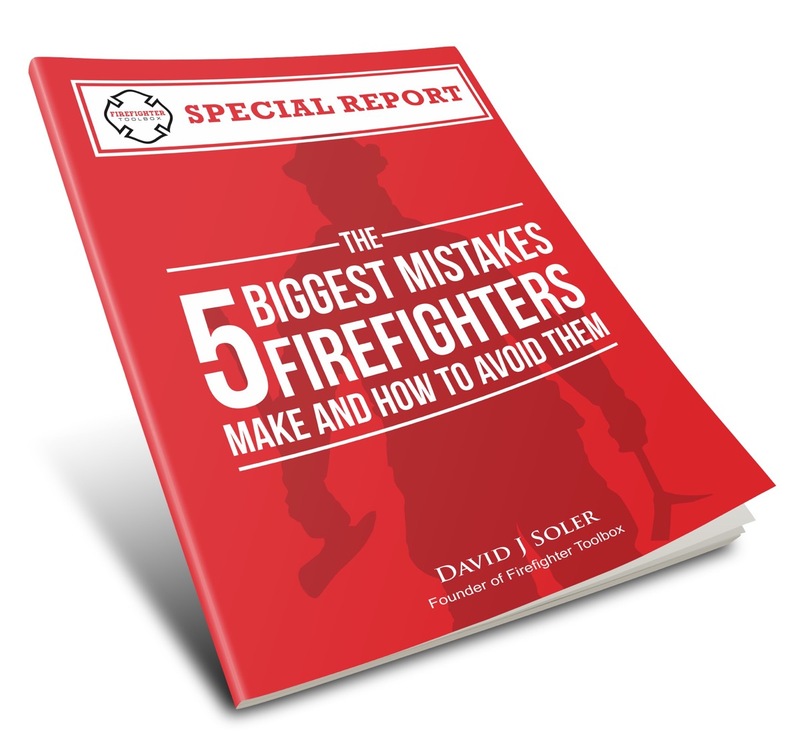 Moreover, the author suggests that the fire service would lack meaning without belief. Besides the authors assumptions, I would like to know exactly what info he used to arrive at these conclusions. The secular Humanist fireman that I referenced above (Andy Potts) succumbed to injuries sustained while attempting to effect a rescue in a structure fire. He was brave, caring and was trustworthy. Andy is proof that faith is not a prerequisite to feel compelled to serve our fellow man. The positive results and knowing that their efforts are making a difference in people’s lives (whether in the grand scheme or on a scale) is reward enough and provides plenty of purpose to their endeavors. To me, that is true altruism…which exists in many firefighters regardless of their spiritual views. I know good and bad members of the fire service who embrace a faith based belief system. And I know good and bad members of the fire service who have found meaning through embracing a more secular, humanistic, and free-thinking ethos. The fire service is not a religious or faith-based organization. It is an organization of public service. There’s room for good, brave men & women from all backgrounds. Faith in our fellow firefighters, yes. I have zero faith in a fake “one that made us”. Poor article, you can believe all you want, that’s your right, but when you start to say that since I don’t believe I’m only seeing firefighting as a job, you’ve struck up the wrong argument, period. I am a Christian and believe that my faith is important to me as a firefighter. It is not my intention to say that a person of a different belief system or background cannot be a great firefighter (I stated this in the first article). I have worked with many firefighters of different faiths or belief systems who were far better than I as a firefighter. And I admire and respect them greatly. However, I do wholeheartedly believe that an individual who chooses to be a firefighter and wishes to be a great firefighter will have a passion for what they do. In my opinion, paassion comes from a strong belief in something. I know we may have differences but what makes a stronger is the collective unit that we all believe in what we are doing. Whether we believe in it as a calling, as public service, or as somthing more. It is a statement that the role that we have chosen has deep meaning to us. This is the intention of the article that I hope that you will take with you that we are stronger by our passion, our belief in that in which we do, is something more than just a job. I agree,if by “strong belief” you mean “convictions” or “principles”…not necessarily faith, per se. An individual can embrace a core set of convictions and/or beliefs without invoking metaphysical faith. For clarity sake you should define your terms, especially as abstract as is the concept of “faith.” I think your whole premise is wrong. Faith – meaning the belief not based on proof, is a copout whenever it is used. You do not train based on faith as your source of knowledge, nor do you think and/or make choices as to how best to accomplish your goals. Their are many common values and principles that are shared by “great firefighters” but using faith as a source of knowledge is not one of them. Thanks for writing this article Andy. It’s refreshing to hear someone with similar beliefs in a workplace that is often somewhat devoid of spirituality. I don’t always feel like there is a higher purpose to my job, but I feel extremely grateful that I am able to help people out in their greatest times of need. I have seen many examples of miracles that I can’t explain any other way than Divine intervention. I try to use those experiences to bolster my faith and trust in God to make me a better firefighter.